1.) Core competencies. Introduce your company’s core competencies and relate those to the specific needs of the attached SOW. That gave me a laugh. How does one describe a Core Competency in Snooping? Or a Core Competency in Tyranny? Ability to track media coverage in > 100 languages, including Arabic, Chinese and Russian. Translation function to instantly translate these articles to English. With all of their handy-dandy parameters and deep archives that never forget, this database tool will be able to constantly monitor individual trade journalist and bloggers. It could certainly watch for their use of certain key words or phrases. And presumably, if they ever used the, ahem, wrong words, then they could be flagged for action. End result: Something much worse than a traditional Ban List or Round-Up List. Instead, the DHS National Protection and Programs Directorate will have a database that constantly watches the article topics and phrasing used by hundreds of thousands of journalists. And if any of them ever use the wrong words, then they could effectively self-select their names for a constantly-updated Action List. 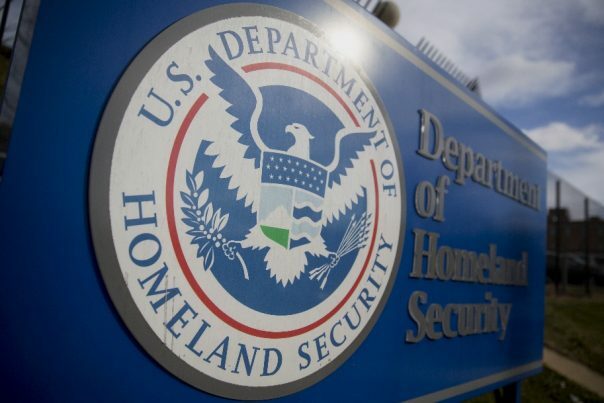 The phrase “chilling effect” doesn’t even begin to describe how journalists might someday feel about writing an investigative story about the DHS or any of its 24 subordinate agencies. This planned database tool is a tyrant’s dream come true! Gee, that strikes me as an agency-level equivalent of a teenager who types in a Google search on her own name once a day. “Online within 5 business days of handing out the contract which means it already has been built and is operating right now, but you haven’t been told one thing about this, there has been no public debate or disclosure, and someone, or a bunch of someones, already have it running and vacuuming up the data — including the mobile component complete with push notifications. In other words the option to stop this through peaceful political activity has already expired, the weapon has already been built, tested and is in use right now, almost-certainly by multiple parties without any disclosure or political debate. The scope of work laid forth constitutes tens if not hundreds of man-years of effort at minimum; it is not a trivial undertaking. Someone, or more-likely a bunch of someones, has expended millions if not tens of millions of dollars, or even more, building this weapon and they have done so in complete secrecy with foreknowledge that this “bid” would then be solicited for their work and thus they would be able to be paid for same. It is flat-out impossible to conclude otherwise given the contents of the request and deliverable deadlines. It is 100% certain that all of the existing “social media” platforms know about this and have already executed whatever “agreements” were necessary with the government for this weapon to be built, tested and be able to operate. Every single one of those firms and every employee therein with knowledge of this, which have to number in the hundreds if not thousands, have remained silent during its development. What leverage (threats) was used to keep all of said people quiet? Clearly, what the DHS announcement is looking for is a company a lot like Google. And in fact Google is perhaps the only company with the advanced datamining ability to meet all of the contract parameters and also able to meet the short fuse deadline. Well, perhaps Facebook or Oracle could handle it. I’ll even go so far as to conjecture that the Statement of Work (SOW) was written around Google’e current capabilities. Parenthetically, I should mention that back when I worked for defense contracting firms (Dalmo-Victor, Litton, Oracle, and SNC), I learned of a common technique for making “slam dunk” contract awards. A program manager (PM) simply writes a SOW specification that perfectly describes what the company he already has in mind can offer. No others need apply.